He is a regular, and a big fan! For us, he has been around for a while with other big names, like England Rugby head coach Eddie Jones. Major sporting guys like Martin Johnson and Austin Healey are interested. Gary and Phil Neville talk about netball all the time, obviously because of their sister. The best-kept secret in netball [is how physical it is]. It has taken a while for people outside of netball to latch onto that. 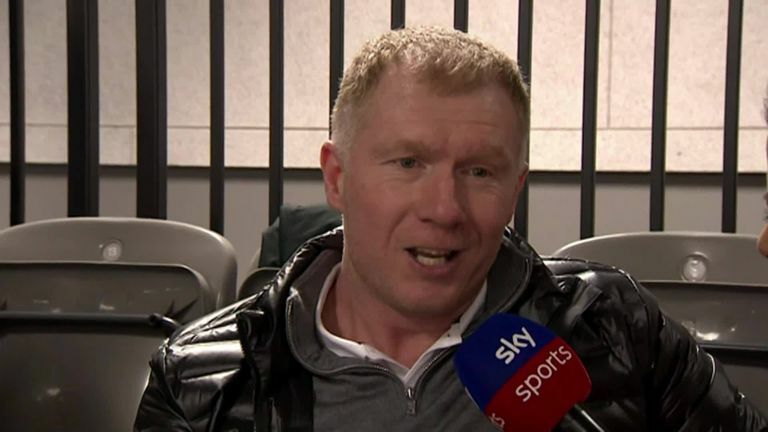 Somebody like Scholes talking about it is brilliant. Team Bath had the snow gods on their side, but won't admit to that! I thought 'they've got off lightly'. They lost a shock result to Surrey Storm last Monday and it was a quick turnaround to play Severn Stars on Friday before the snow arrived. I'm not sure if Eboni Usoro-Brown would have played for Bath. Without her, it would have been a very tough game for Bath. So having that game called off due to snow? Stars would have been kicking themselves but it gives Bath extra preparation time. Storm vs Wasps and Loughborough vs Sirens were very close after the first quarter. Sirens really pushed Lightning and it wasn't until the third quarter that they were able to pull away. Teams aren't putting opponents to bed in the first quarter anymore. It's taking half a game to work each other out. Coaches and players are really having to earn their money at half-time to make a real difference in the third quarter. The standard of the league has got better. Teams have levelled out. 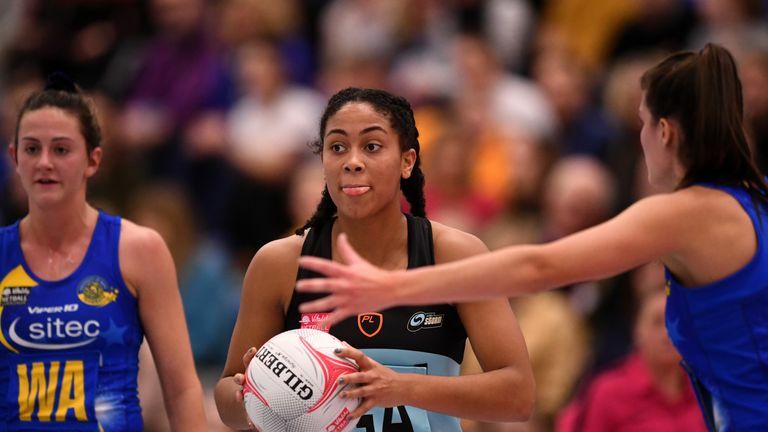 The depth that teams have on the bench is making a difference and you saw that in the Wasps v Storm match - the likes of Sophia Candappa came on at half-time but she was a starting player last season. Wasps looked the better side after 60 minutes against Storm. 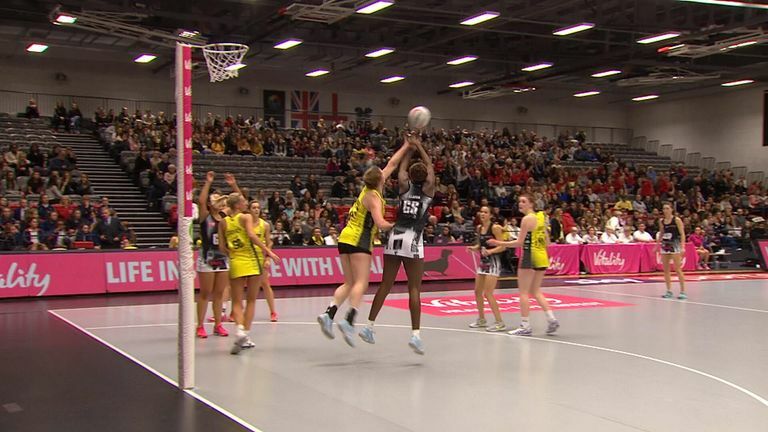 They had a point to prove after a close game against London Pulse. They wanted to stamp their authority. For Wasps to be able to put 70 goals on the board, it was all about their combinations. They can put on two combinations in each half and be equally as strong which will stand them in good stead. Next week, it's a big test against Mavericks. Thunder didn't get into their full flow against Pulse, but that's expected in round four or five. Pulse are a side that will cause teams problems. Pulse were in the game and were unlucky in the third quarter. 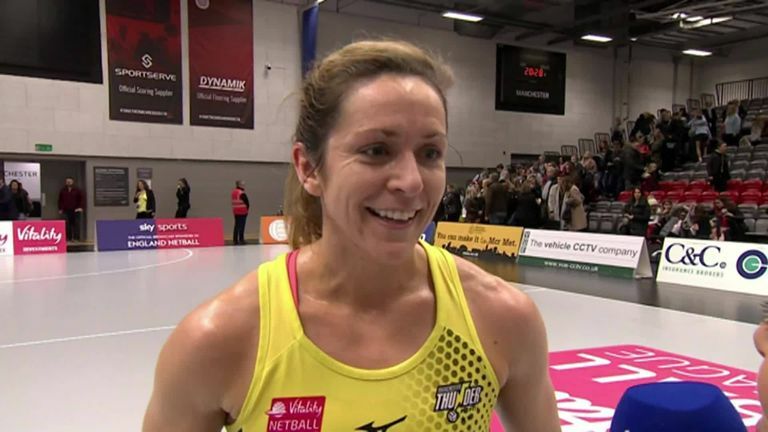 Caroline O'Hanlon says Manchester Thunder had to keep fighting to the very end to beat London Pulse. I was intrigued how Thunder played through it. They were tenacious. Defensively, they were exceptional. They ground Pulse down, and forced them to make errors. Thunder were able to bring on Eleanor Cardwell - she would be starting for any other team!